We offer a large selection of gorgeous cabinets in a variety of styles and price points from top manufacturers including Omega and Kitchen Craft. But you won’t be overwhelmed. Our experienced cabinetry professionals make the decision-making process stress free with complimentary design services, computer illustrations, build measuring and color combinations. Come visit our showroom to see the quality craftsmanship in person, then allow us to assist you in selecting the storage solutions that match your needs, taste and budget. From the kitchen to the bathroom to the mudroom, we are committed to providing you with beautiful design and affordable pricing that you are comfortable with. The kitchen is the soul of your home. Let us help make it welcoming, inviting, and comforting. We have a variety of cabinet options to create a room you will cherish – the perfect place for preparing and enjoying a relaxing meal around the family table or hosting an evening with friends. 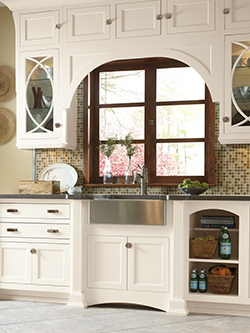 Our kitchen designers will work with you to select cabinet styles that let your personality – and home – shine. You can also choose from a full range of granite, marble and quartz countertops from our sister store <a href="http://www.houseofstonecorp.com/">House of Stone</a> to complete the look. Browse our <a href="http://www.rscabinetbrokers.com/kitchen-cabinets-rockland-orange-county-ny">Kitchen Gallery</a> for a taste of our offerings then stop by and let us help you create the kitchen of your dreams. Transform your bathroom into a luxurious oasis. 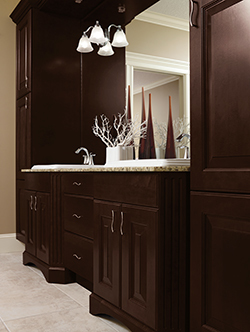 Whether you are looking to update a powder room or create a master bath escape, you can find the perfect bathroom vanity and coordinating storage options at R &amp;S. Sleek contemporary to traditional classics, single or his and her sinks. With your wants, needs and space in mind, we will assist you in selecting the perfect storage solution. Peruse our <a href="bathroom-vanities-rockland-orange-county-ny">Bathroom Gallery</a> for some inspiration and visit our showroom for our complete offerings. We know the use for cabinets expands beyond the kitchen and bathroom. 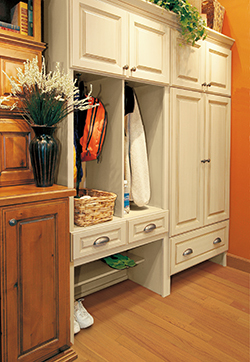 They provide extra storage wherever you need it, such as an office, media room, or mudroom. If you are searching for cabinets that seamless blend in with your existing furnishings or are looking to completely transform your living space, R &amp; S has what you need. Our personable, experienced staff will work with you in designing a solution that answers your storage issues and décor desires. See a sampling of the <a href="http://www.rscabinetbrokers.com/cabinetry-orange-county-ny">cabinets for the other rooms</a> in your home in our showroom. We don't just sell cabinets, we provide a lifestyle. Stop by our showroom today and see how we can make your dreams a reality. All we ask is the opportunity to earn your business.